This sounds like such a fun book. Plus a little different than the typical YA. I love a good contemporary. Haha, this is also my pick this week :D I hope you enjoy when it releases! 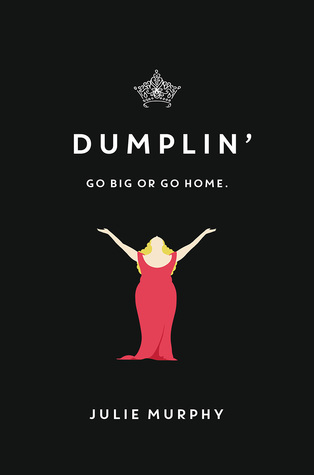 Dumplin sounds like an interesting story with an interesting message. Great choice. I am a little curious about this one..lol. This book sounds right up my alley, love when the protagonist has self confidence in themselves. Seems like it's going to be funny too, which is always a plus. If you get a chance, please check out my WoW.. I like that this is a different kind of YA book too with a more body positive kind of message. I'm definitely going to be reading it. Great pick! Sounds great and hope you have a great time reading it. thanks ever so much for the share. Great choice! I read an ARC of this one and it is just brilliant. I hope you love it. I know you'll love it. Everyone will love it. I'm waiting on this one too! It looks great and I can't wait to et it. I've pre-ordered it already. Great pick! Here's my WoW. I got the arc for this from ALA this summer and I'm really excited to read it. p.s. About your question, the graphic novel isn't girly because there is no romance involved but friendship between R&J. I think it will be appeal to both girls and guys. I finished this one last week and really enjoyed it, so I hope you do too.